Hope Community Church selected iS design to conceptualize and design a Morrisville location for their growing church community. Although contained within the confines of a single multi-tenant building, the church was proposed to be located in two separate suites at either end of a 55,675 square foot single level facility. The solution includes the first suite (~29,000 SQ FT) which is organized around a 962 seat assembly/sanctuary space itself surrounded by ten child care and Sunday School rooms configured for nursery age children through mid-elementary years. 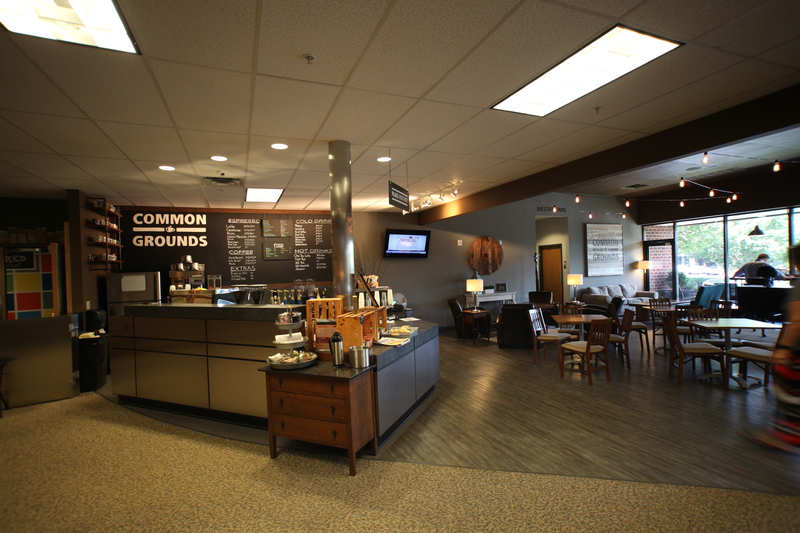 A large Gathering Space with a Café welcomes worshippers and provides a place to meet with others before and after services. The second suite (~15,000 SQ FT) provides upper elementary Sunday School space as well as Middle School and Adult education spaces. This suite also contains a lounge for informal interaction which includes a second café. The church administrative offices are also located within this suite. The combination of the two suites affords a comfortable, informal and flexible combination of uses designed to encourage and facilitate community within the congregation while providing a welcoming environment for visitors.